Oceanfront Home professionally decorated! 5 bedrooms and 4 bathrooms. Home includes a gas fireplace, kitchen with granite countertops and double oven, dishwasher, microwave, and disposal. Multiple Flat panel televisions and DVDs throughout, refinished hardwood floors, and breathtaking ocean views from your private, raised, oceanfront pool. 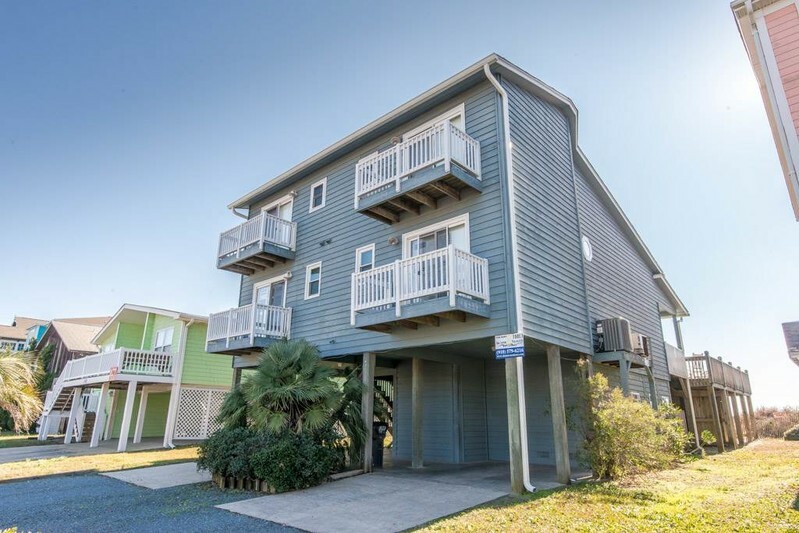 Home includes stereo, game room with ping pong table, dart board, and air hockey table, outside shower, charcoal grill, covered and sun decks, porch and pool furniture, private walkway to the beach, wireless internet access. Pool can be heated October-May for an additional $150/day. Accommodates 16. 5 Bedrooms, 4 Baths. Down: King, Queen/Double Up: King, Queen/Double, Queen/Double. All bed and bath linens provided with the rental and beds made upon guest arrival. Non-smoking, no pets. Another awesome year in OIB!!! THanks to the good people at City Hall for the free beach wheel chair rental and thanks to Sloane Realty for the perfect proeprty!! !